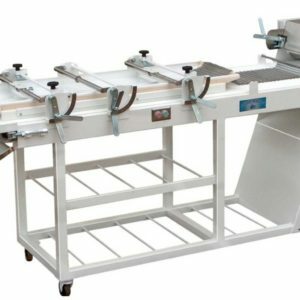 Description: The Bloemhof EXPRESS 600 Advanced French Bread Moulder has been developed to gently process a wide variety of dough types including long fermentation doughs with an integral resting conveyor. 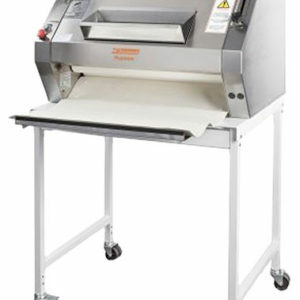 Unlike overhead proofer systems, the EXPRESS 600 can receive directly from a low stress divider, gently degas the dough and create a cylindrical preform instead of a rounded preform. The cylindrical perform is rested automatically up to 10 minutes and then finished to length on the finishing moulder for a consistent high quality seamless finish. 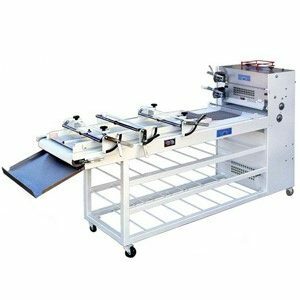 The EXPRESS 600 is really three machines in one package!